NEW YORK — Somehow, in the midst of his freshman season at Yale, Nathan Chen has found time to escape the classroom and the study hall and the tests. But he's worked out a regimen for practices in New Haven, chats "all the time" with coach Rafael Arutyunyan, and really hasn't missed a beat — or a quad — since his fiasco of a short program at the 2018 Olympics that likely cost him a medal. The 2018-19 was highlighted by a pressure-packed showing by Chen at worlds in Japan last month. 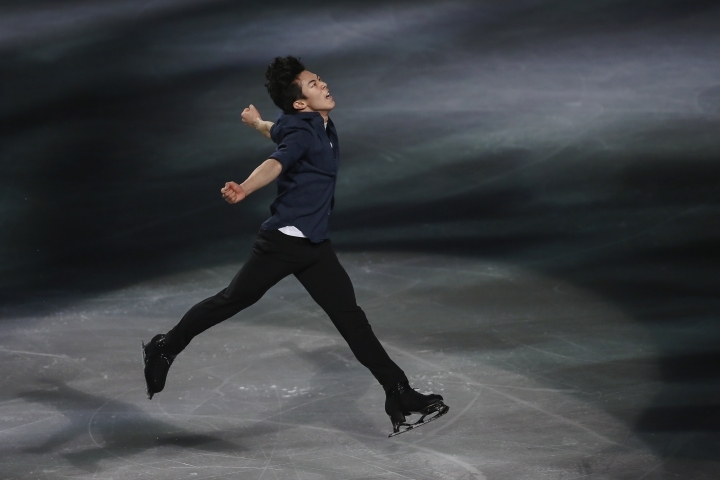 Leading after the short program, he was scheduled on the ice just after national hero Yuzuru Hanyu, the two-time Olympic champion. Hanyu was sensational; Chen cracked that the fans' celebration after Hanyu's routine — they throw Winnie The Pooh dolls onto the ice — featured "more Pooh Bears than I knew existed. It was incredible to see so many Pooh Bears on the ice."